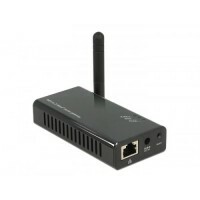 This Delock Gateway is compatible to the Z-Wave® standard and can be connected to multiple Z-Wave® devices smoothly. The Gateway is the central control unit in the Z-Wave® communication and offers the interface to the home network. If the connection to the home network is done, integrated devices can communicate with the Gateway.